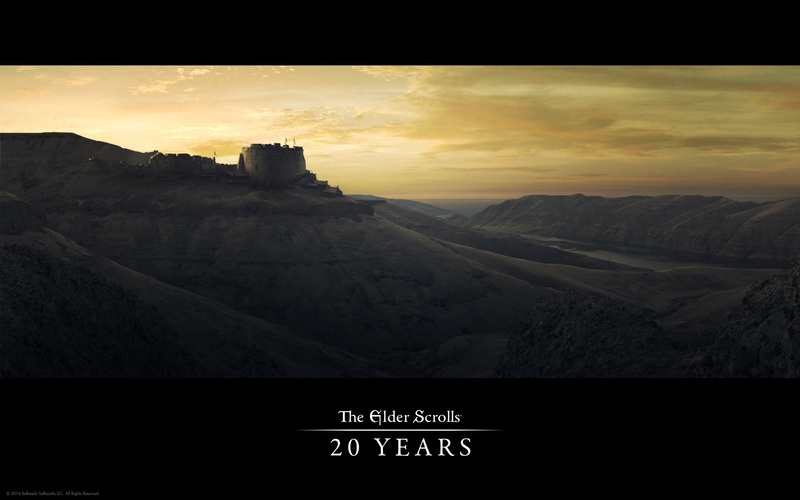 UESP Forums • View topic - ES 20th anniversary wallpaper. Post subject: ES 20th anniversary wallpaper. Post subject: Re: ES 20th anniversary wallpaper. Looks kinda like Mars (no, not me you darn jokesters) with a brown filter applied, to me. So yeah probably Morrowind, or maybe someplace in High Rock. from a different angle. Or it's just some pretty ruin over a river valley, what do I know. 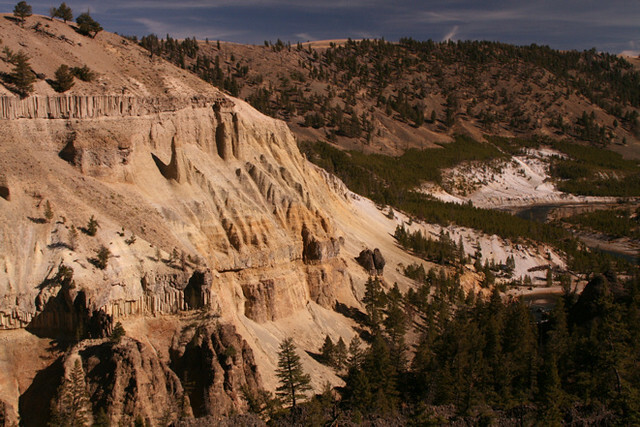 It's obviously the northern part of Yellowstone canyon. From an in-universe perspective it could definitely be an old worn down Imperial fort in some desert location, possibly near Elsweyr or Hammerfell. Looks Imperial fort-y to me, and yeah, desert. Hammerfell, maybe? AKB, that does look awfully similar and would make sense as a 20-year anniversary thing. Anyway, it's a cool wall, if a little dark. Well while the building has a striking resemblance to the one on Arena's cover, the location is clearly different. The Arena one has grass growing in front of it and the new one is in a desert like location with no vegetation at all. Call me paranoid but maybe the new release is a hint where TES VI will be set. Ever since Skyrim I thought the next installment would be Elsweyr, setting up something with the Thalmor and about the return of Lorkhan (the Void nights gave me kind of the idea for this, the moons vanishing? yeah the deadric founder of Nirn is coming back!). Or likely I am just a conspirator^^. Hammerfell makes more sense to me, if only because so many texts in Skyrim alluded to Hammerfell. There were a lot of Redguard NPCs, too. Quite hard to say, Hammerfell would also be an interesting setting. The only real point that speaks against Elsweyr is that then we need all Sub-Races of the Khajiit. Maybe I give the Void Nights more credit than they deserve, but it would be easy to set a main plot around Lorkhan and the moons tie especially well with the Khajiit. I see vegetation in it. It's hard to see, but it is there. If it's not that, then it's not any location we would would be able to determine.